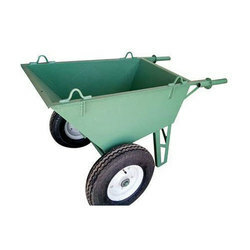 Pioneers in the industry, we offer construction trolley from India. We are offering our clients in-house designed Construction Trolley that are appreciated for their international quality standards. These trolleys are used across various industrial applications and in many factories. We make use of high-grade material for manufacturing our range which makes them sturdy and offers them high load bearing capacity.